Perfectly in time for Valentine´s Day, soon-to-be fans of Tina Turner will be delighted to find a new entry point to the works of this soul survivor: the new best-of collection titled “Love Songs”. The CD is fully packed with its 18 tracks – some of them even needed to be edited/shortened so that the CD can host all of these 18 love songs. It is surely difficult to compress 30 years of music of her solo career (plus the evergreen “River Deep Mountain High”) into a single CD because you really have to be picky about the selection of each song. So, what is it what they selected here? “Love Songs” is the theme, so we can expect indeed songs of love, happy moments but maybe also sad and rather melancholic situations. – And yes, this collection brings it all together. We find the hits without which none of such a release could survive a single day like “The Best” and the milestone and signature song “What´s Love Got To Do With It”. Maybe we would expect a “ballads only”-CD because love mainly has the connotation of quiet moments together and not necessarily stomping anthems like “The Best” or even up-tempo disco hits like “When The Heartache Is Over” which rather tells you that somebody is through with someone and can now go on alone then that they lived together happily ever after. But hey, this is what love is really about: not only the fireplace and a cozy evening in winter in the Swiss Alps but love is life, and let´s face it – life consists of relaxed moments, (melo)dramatic scenes, and also exciting adventures. Why not name all these facets? If you listen to the 18 tracks from that particular perspective, you will understand that we don´t have a simple Best-Of of ballads and easy-listening songs for the simple “Two People” dinner evening plus “Why Must We Wait Until Tonight” situation in our hands but the full range of what love brings to our life. The sad moments when you are apart from another: “Missing You”. The understanding that love and going-the-way-together is over: “I Don´t Wanna Fight”. The dark side of love in places where love is just something which you can buy despite you’re thriving for more: “Private Dancer”. The feeling that you can be yourself without your usual every-day mask: “Falling”. The feeling that you and your love are part of the big story of the universe and its ongoing ups and downs: “Way Of The World”. Did I just mention the songs “Falling” and “Way Of The World”? How unusual because this treasure box of Tina Turner music actually does something what you would not expect on a 1-CD-alone hits collection. 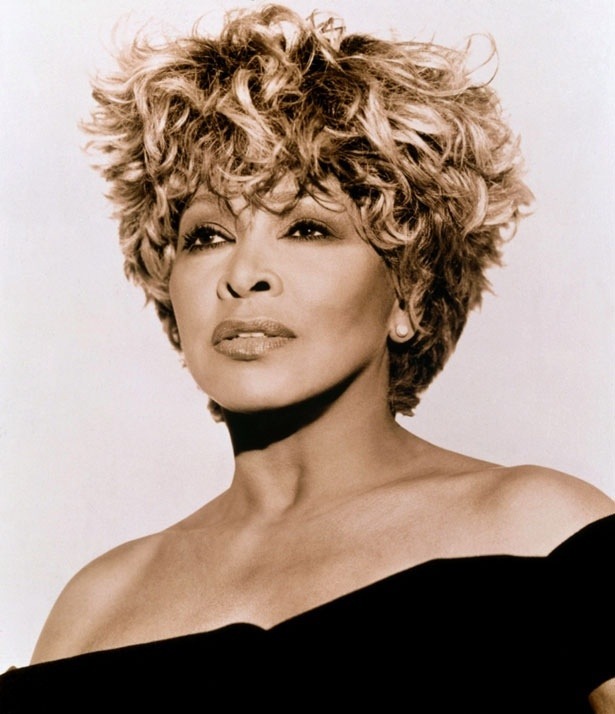 Even if songs like “Way Of The World” and “I Want You Near Me” were released as singles in 1991 and performed not too badly in the charts, a Tina fan would never expect anybody else to actually know these songs because they are hidden champions but you would make sure these songs were in the playlist if you were to select Tina Turner music for a dinner evening at home. So, interesting to see that they are featured on “Love Songs” as the world better gets to know them now before they are lost forever. And what was it with “Falling”? Ever heard that song before? Maybe, if you have the “Twenty Four Seven” album from 1999 at home where “Falling” is simply track #9. But it is a bit underestimated among fans because it is so unusual and extra slow – but the lyrics are so simple, her voice is so deep – interesting choice to put that on “Love Songs”. But here, you really have the chance to see the full range of Tina´s music – and if you plan to get lucky you better have “Falling” and red wine nearby. After being the oldest (well, most experienced or wisest) woman on the cover of German Vogue in 2013, the artwork and cover design of “Love Songs” are a true surprise as even the photos are a best-of of Tina Turner´s black-and-white photos. We find photos from 1993 (“What´s Love Got To Do With It” album and movie) and 1996 (“Wildest Dreams” album) and we can only say “Wow” because they still seem to be recent and modern. They also stand for that certain timeless elegance Tina acquired about a decade ago when she did not appear on the concert stage but for other public occasions and showed women and girls how to become (or stay) an elegant timeless lady with that certain “Old World” style. It is quite daring to release a CD with photos from – I have to repeat that again – the 90s, and to be exact: even from the early 90s. If we calculate correctly then they date 20 years back – and this is really crass, no objection admitted. Who would try to get away with such a cover design for a CD in 2014? But Tina Turner proves that it is possible because these black-and-white photos and her style which they disclose are part of her legacy and are now rightfully used here. Well, hm…of course, it is my German soul which must look for a “but” or some kind of “downer” in everything which is appealing because nothing in life comes for free, and every sunbeam is also the carrier of the approaching night fall. So where can we make out the drop of bitterness? It is the mere fact that this is again another Best-Of, after “Simply The Best”, “All The Best” and “All The Best: The Hits”, “Tina!”, and “The Platinum Collection” which at least contained two or even three new songs, we are now presented not only again with another greatest hits collection but also with a release which does not entertain us with any new or previously unreleased material. But well, we can´t help it – and apparently, this new compilation serves indeed as a loophole into the world of Tina Turner´s music because the commercial success it currently enjoys proves it again: Tina´s music is a landmark and knows how to please the audience and to spread joy and happiness. So, that again is something to celebrate! I ordered the cd on 2/3/2014 and received it on 2/6 and I have listened to it at least six times already. These songs still jerk at my heart strings, they are just as good as they were when they were originally released. Tina has always had it, I was 14yrs when I thought this, I’m 56yrs now and still feel the same way. Beautiful soul, beautiful music and beautiful, Tina! Hard to believe they couldn’t find a song she’d recorded that never made it on an album. Nice gift to all the valentines/couples around. Celebrate love! I loved the pictures from the WLGTDWI era (1993) just as much as the ons from the Private Dancer era…and the Wildest Dreams (1996) era had some real gems, as well. I’d like to see the 2013 German vogue pictures as well included in the album, since she looks about as youthful as she did in the 1990s in 2014…that Oprah interviewed proved that. Heck, she could do a brand new LOVE SONGS album, and that would be great. BUT, I still say, I want her, in the near future, to record a gorgeous CD featuring her singing in every facet of JAZZ: Smooth, Chill, Funk, Rock, Reggae, Pop, Latin, R&B…It will be CLASSIC, and it will win her a Grammy or two. If that’s her last foray in to music, I’ll be completely satisfied and at peace with that. Here is a thought, that I hope You (Tina) & Oprah come together for a more of a Spiritual type movement of this world,,,oh of course many others too and get this world going and moving in a Spiritual movement. Reality soon. Please share this with Oprah! Thanks for Listening to my thoughts too. Like i said it’s a thought..